Hog's Breath Cafe's slogan of "There are many things we've never done, but we ain't never had too much fun" clearly positions it as a funky cool fun place to chill out. 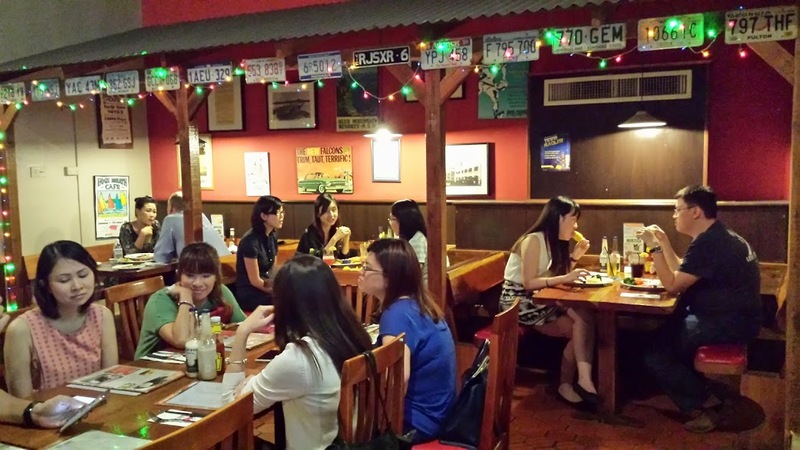 Hog's Breath Steakhouse, Singapore Hog's Breath Cafe is An Aussie Steakhouse with lots of Grunt! 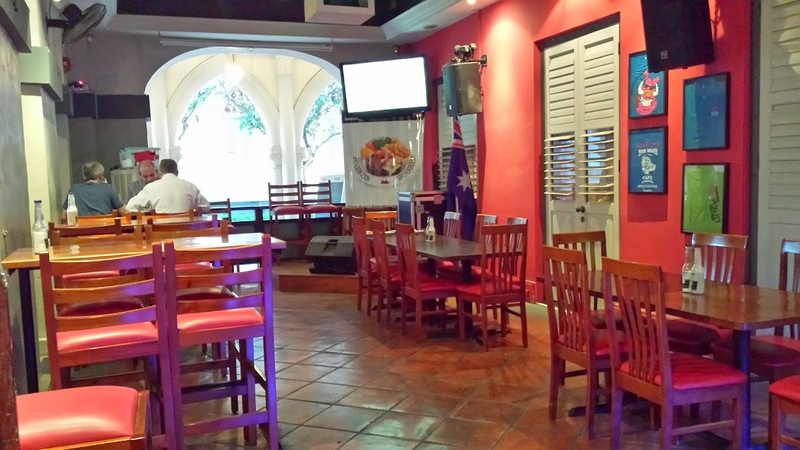 Hog's Breath Cafe is an Australian franchise brand that grew from one outlet to 86 outlets to date in these past 25 years. Its founder, Don Algie (known fondly as Boss Hog), had arrived in the Whitsundays aboard his classic 55' sloop Storm in 1987 looking for a site to start his brainchild Hog's Breath Cafe after spending four years in Florida, USA. 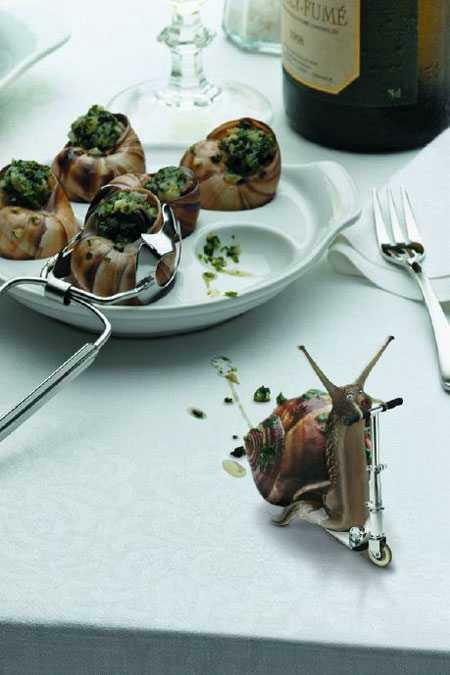 Don Algie decided to settle in Whitsunday Islands, & opened the first Hog's Breath Cafe in July 1989 at Airlie Beach, North Queensland, followed by a second outlet in 1990 November in Mooloolaba. 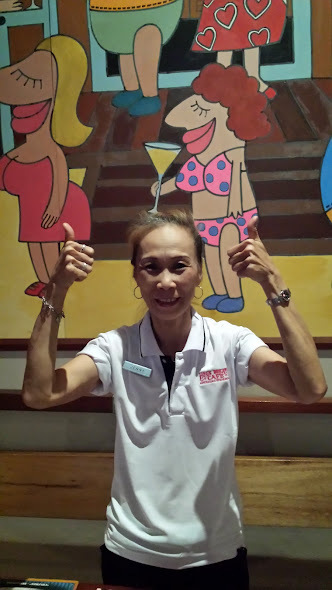 Further stores quickly followed - Townsville City, Darwin, and Cairns, and to date Hog Breath Cafe sare all over Australia, New Zealand, Singapore and now in Thailand – in Phuket with Bangkok re-opening soon. 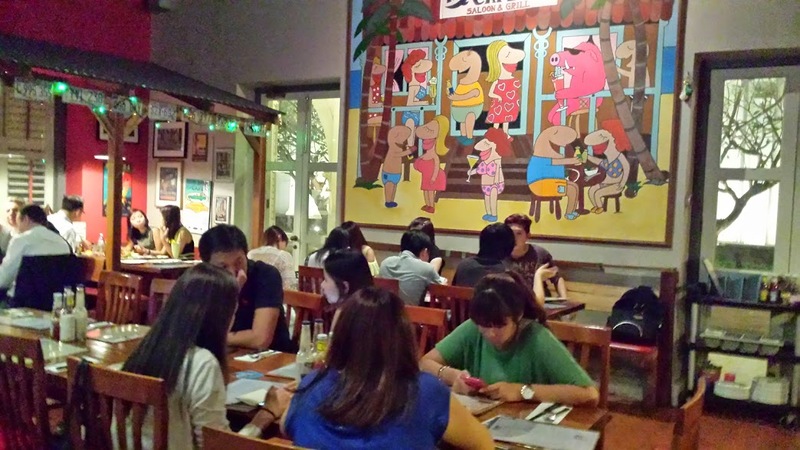 In 2006 October, Hog's Breath Cafe opened its first outlet in Singapore. 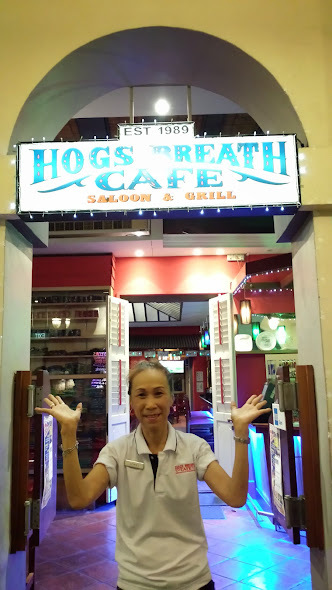 Today Hog's Breath Cafe has total 80 outlets all over Australia, 2 outlets in New Zealand, 2 outlets in Singapore, 2 outlets in Thailand. 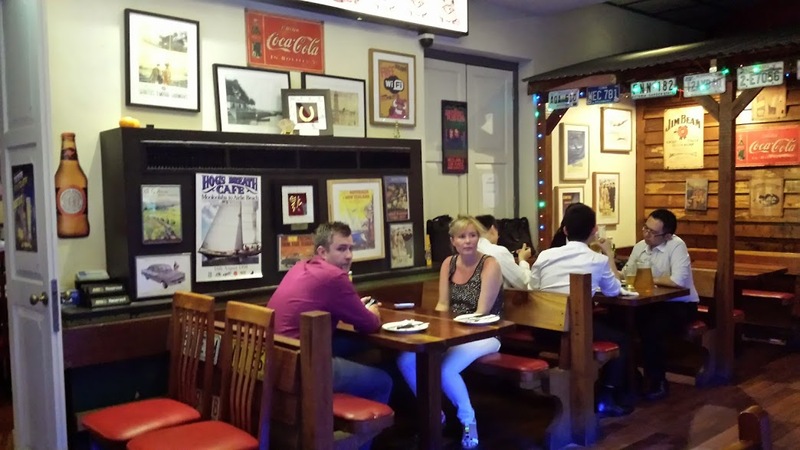 Hog's Breath Cafe just celebrated its 25th Anniversary in July this year. Signature Prime Rib Steaks - Hog's Breath Cafe specialises in serving the best Prime Rib Steaks in Australia that you cannot find anywhere else. Hog's Breath Cafe buys the best Grain Fed Beef with quality marbling, it is air-flown for freshness & slow cooked for up to 18 hours for tenderness, seared quickly on the Chargrill to seal in the flavors and moisture. 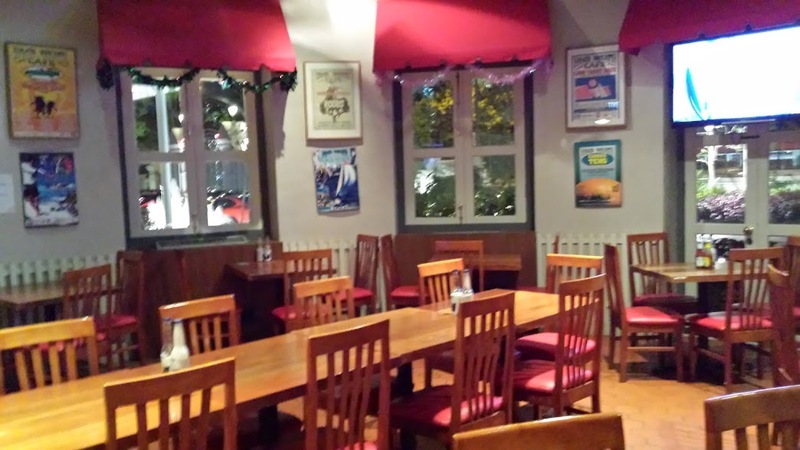 Its Philosophy - Hog's Breath Cafe aims to provide a casual dining experience with quality food & drinks in a superb cosy fun ambience with a delightful party atmosphere. Hog's Breath Cafe philosophy of "have fun and enjoy yourself" - is exemplified in the unique funky furnishing & decor with walls filled with unusual colorful paraphernalia and memorabilia. 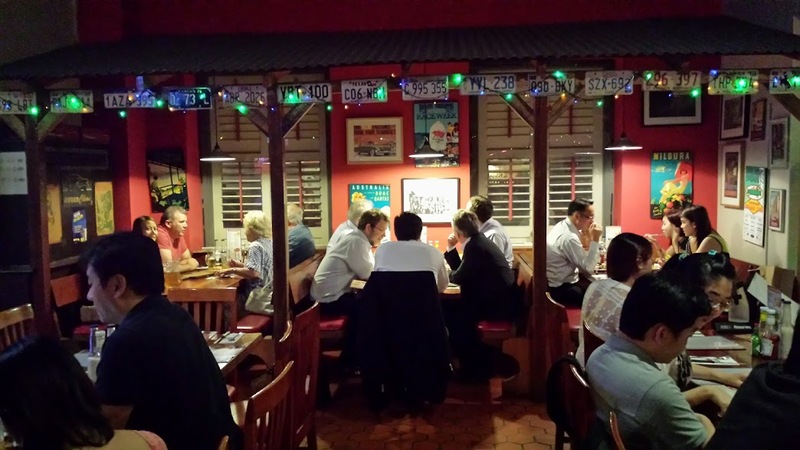 Hog's Breath Recipe for Success - The Hog's Breath Cafe franchise has become successful for the past 25 years, growing at an average rate of 6 outlets every 12 months for these past years due largely to the management having the vision to provide a unique dining experience within the Australian marketplace. 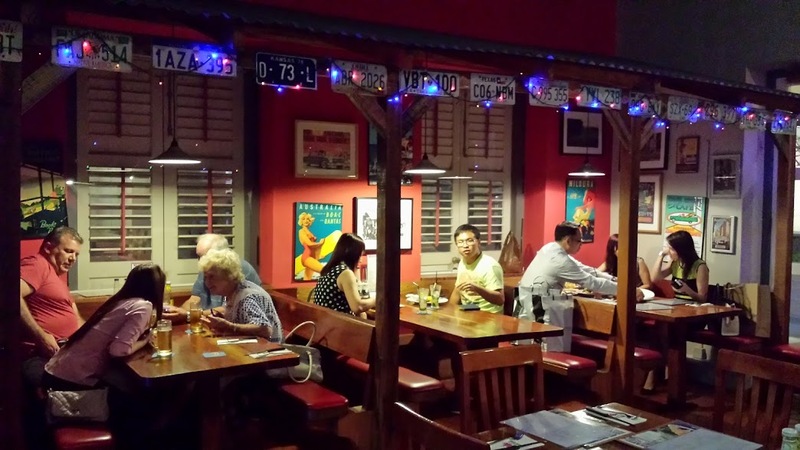 All Hog's Breath Cafes are themed licensed restaurants that caters to a broad spectrum of diners, from the young to the old, & offers great "Hogspitality", a relaxed friendly environment, awesome meals, great service & a great place for a lot of fun. 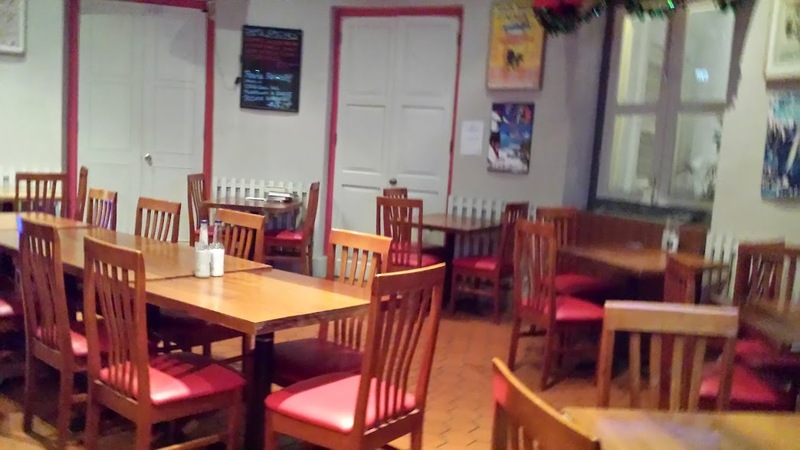 The restaurant houses 3 interacting components - a seated food service area, a licensed saloon bar and a merchandise shop. The alfresco Dining area has close to 20 square rattan tables each paired with 4 rattan chairs to give a total seating capacity of about 100 pax seen here below. The middle section (**pictures below) houses the Bar with about 32 wooden high bar chairs flanking 10 wooden round high bar tables & 6 wooden rectangle high tables for those patrons who wish to chill out & have some great beer, mocktails & cocktails to pair with the finger foods. 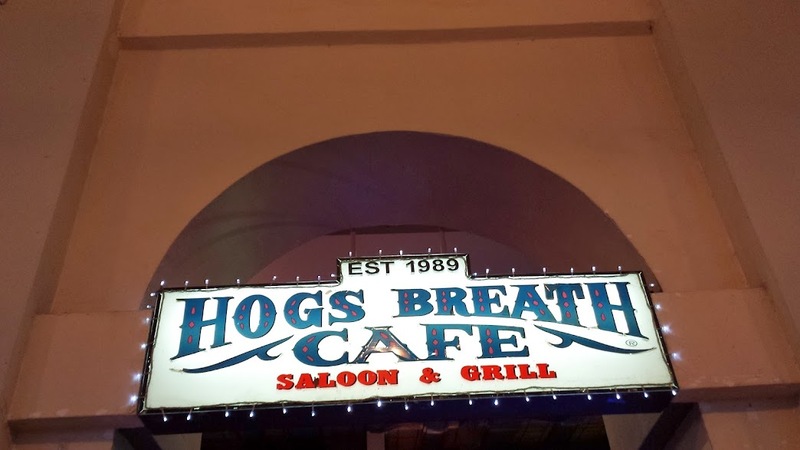 There is a little Merchandise Corner where Hog's Breath Cafe T-Shirts with the pink mascot Hog is displayed on sale for loyal patrons who wish to bring back a part of Hog's Breath Cafe home. Jenny (**see below in white T-shirt) is the Hog's Breath Cafe Manager @Chjimes on duty for the day of my visit, as you can see she is busy & preoccupied at the Payment Counter (located in the air-con dining section ) with processing the order for some of the hungry patrons who drop by for dinner. 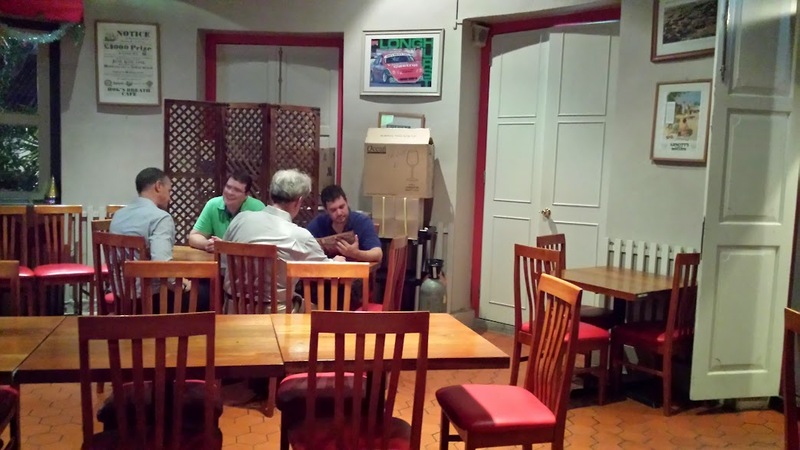 The air-con Dining section is divided into 3 compartments, each with a different name. This first compartment (**below) has a very interesting signage that reads : "4 out of 4 pigs agree, eat more beef !". The first compartment links to the second compartment (*seen below) via this white painted wooden door to showcase 8 long wooden tables paired with long wooden benches & wooden chairs, with a total seating capacity of about 60 pax. Most prominent is this large painting of the Hog Breath Cafe mascot hung on the wall in this second compartment. Both the first & second compartment has walls that are adorned with framed photos, posters, paintings that lends an aesthetic touch to the cosy ambience that are lighted by hanging mini bulbs. 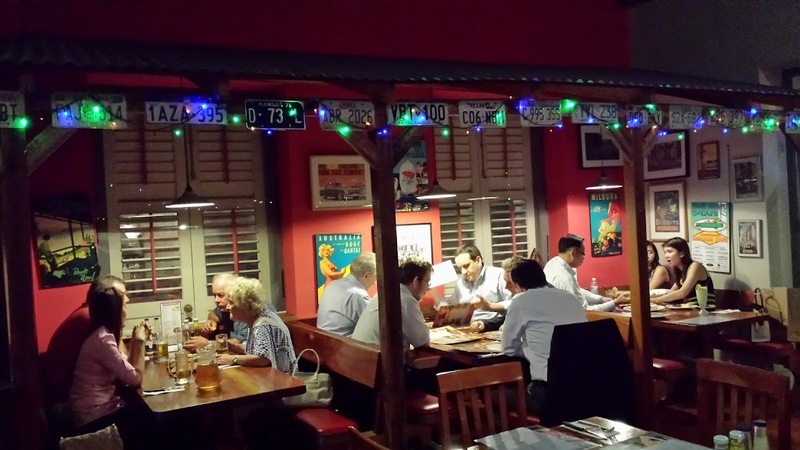 The third compartment opens to an air-con Dining area named the "Pig's Pen" with about 10 wooden rectangle tables with seating capacity of about 40 pax.